The Axxus Institute has the only CRP (Collaborative Rapid Processing) research platform in Latin America for the accomplishment of quantitative or qualitative research, for small or large coverage. We are the only one to use mobilization of collaborative networks technology in Brazil. We conduct surveys regionally or throughout Brazil efficiently and accurately. 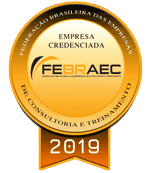 Under the coordination of Prof. Rodnei Domingues, a specialist with more than 20 years experience in administration and business research, we are able to offer the best solution in research with the best cost-benefit ratio. Investigations into consumer behaviour, preferences and expectations. Investigations to diagnose and identify the causes that hinder the growth of a given business. Feasibility studies of specific business points. "Valuation" - The Axxus Institute conducts the process of evaluating companies, using quantitative and qualitative methods that allow us to estimate the value of a business. "Due Diligence" - Is an investigative process that Axxus conducts in order to identify the risks and opportunities of a certain business. Final reports may be issued to meet mandatory or voluntary requirements. Give us the opportunity to know your needs and present the most appropriate research and study alternatives. Multimedia is an area of communication that studies the use of new media or means for the transmission of messages for informational or knowledge transfer purposes. We use multimedia resources such as art, photography, audio, graphic design, editorial style and video productions to meet the needs of capturing or disseminating information. The Multimedia Methodology enables a very fast transmission of messages to a restricted or very large audience of geographically dispersed audience using more advanced broadcast channels such as mobile applications. Our Multimedia Methodology offers an excellent cost-benefit ratio. With a little investment it is possible to capture or transmit information, ensuring a high success rate.